For someone who is a foodie, I admit that I knew embarrassingly little about the food I ate — like, where it came from and what’s in it. Outside of media bites and familiarity with buzz words like “free range” and “organic,” I realize now how little I understood about our agricultural system. I literally had no real conception of the process from farm to table. 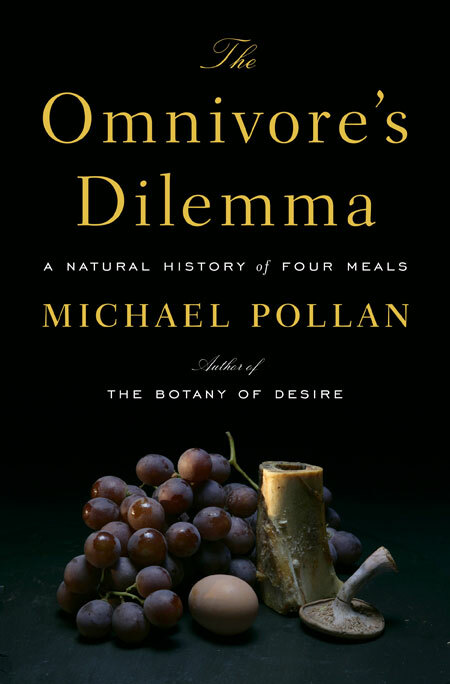 Michael Pollan’s The Ominvore’s Dilemma was my first exposure on the food subject outside of cliche or trite media bites and brief program segments on the subject. I read it a few years ago and have been recommending it wholeheartedly since. It has seriously changed the way I approach food in all its forms — growing, procuring, eating and preparing; it has changed the way I see food. I highly recommend it. One fun thing from the book that has stuck with me is the layout of the standard grocery store — the whole or “good” foods tend to be on the periphery and we are usually directed through aisles of processed foods to get from one end to the other. The most important change I’ve noticed however, is in how I read ingredient labels — something that I feel is so enlightening that I could tell everyone about why it matters. If you’ve ever wondered where our food comes from, what’s in it and why it matters, or even just what we should have for a meal and the evolution of what makes a “meal,” then I definitely recommend you give this book a read.